Happy Friday and I hope you all have a fantastic weakend ahead of you! This is certainly a busy weekend for summer weddings. 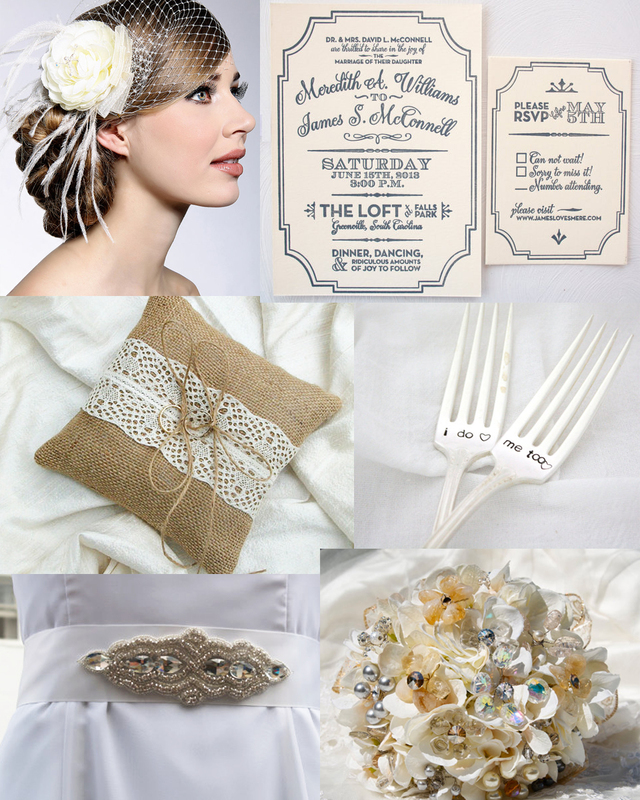 A few of my customers have this color scheme for their wedding: silver and cream…..with a vintage and rustic feeling. I think it is so soft and pretty. I hope you enjoy my wedding inspiration. P.S….all of these items are from Etsy shops!